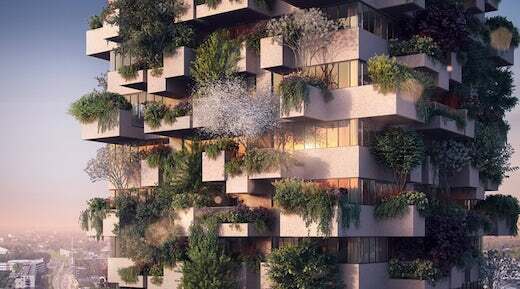 Stefano Boeri’s Bosco Verticale idea has really taken off. Now the city of Eindhoven, the Netherlands will get it’s own vertical forest tower. Similar buildings have already been built in Paris, France and Lausanne, Switzerland. 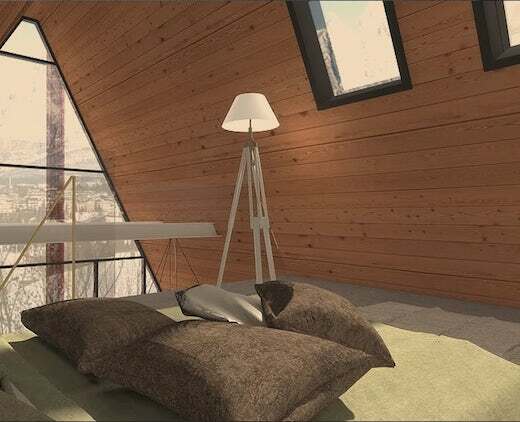 The tower in Holland will provide affordable inner-city social housing. The so-called Trudo Vertical Forest will be 246 ft (75 m) tall and have 19 floors. The façade will feature 125 trees, 5,200 shrubs and more than 70 species of plants. These will help cleanse the air, improving its quality, as well as provide a pleasant environment to live in. 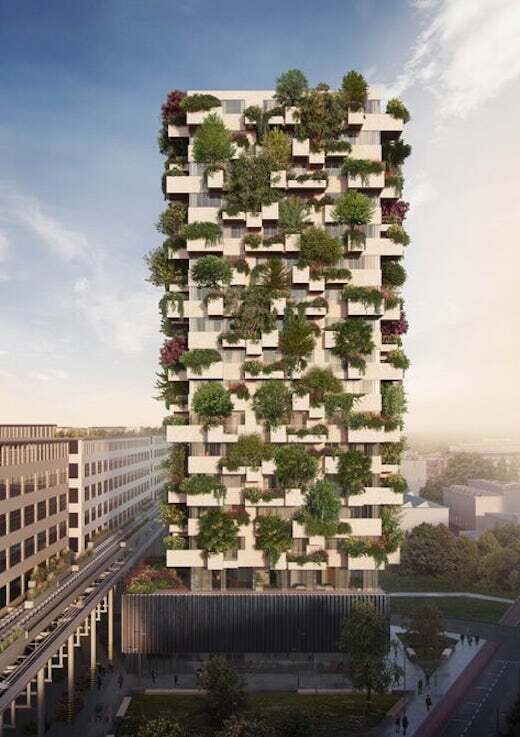 The basic design of this tower is different than the previous versions of Bosco Verticale. The exterior is covered in concrete planters and terraces, which jut out from the sides. The tower will feature 125 apartment units, intended for young people looking for an affordable place to live. 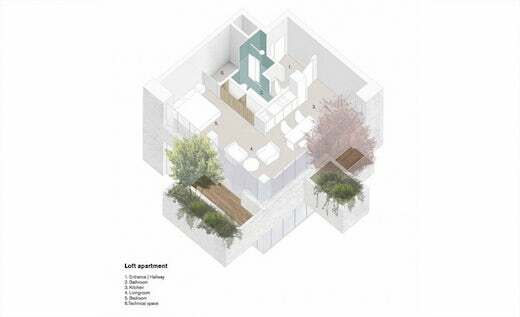 Each apartment will have a balcony with one tree and 20 shrubs. The Stefano Boeri Architetti intends to prefabricate the sections needed to build this tower and then assemble them on site. The project appears to still be in the planning stage at this time, and there is no information about when construction is set to begin, nor by when it will be finished. 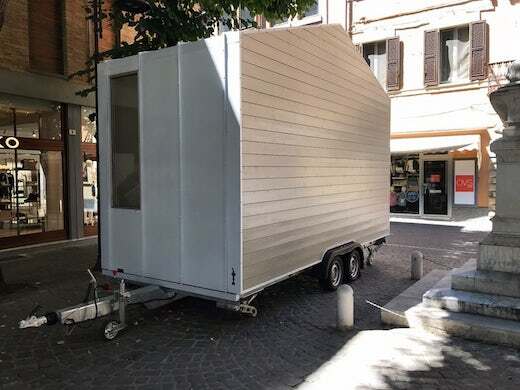 Although given the fact that this is a prefab building, it should be erected quickly. 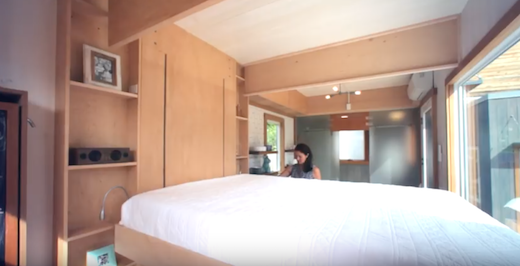 Living in a 250 sq ft tiny home would be downsizing enough for most people, but Richard Ward of Terraform Tiny Homes from Dallas, Texas recently traded in this “mansion”, as he calls it, for an even smaller home. 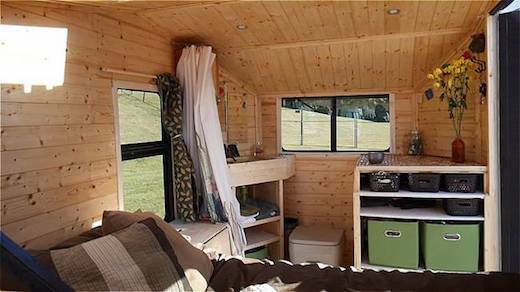 He spent the last four months traveling the country in this “mansion” and has now traded it in for a 54 sq ft micro camper. 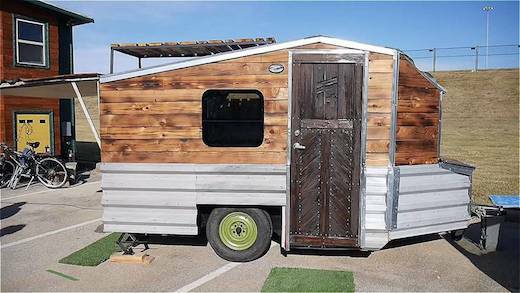 The camper is called Terraform 3 and it was built atop a boat trailer. 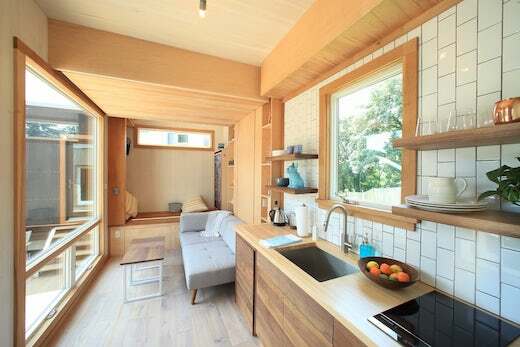 It can be expanded into a 120 sq ft home when stationary. Richard bought the trailer used for $175 off Craigslist. The home itself was built out of 16-gauge, 1-inch square steel channel framing that was welded together. 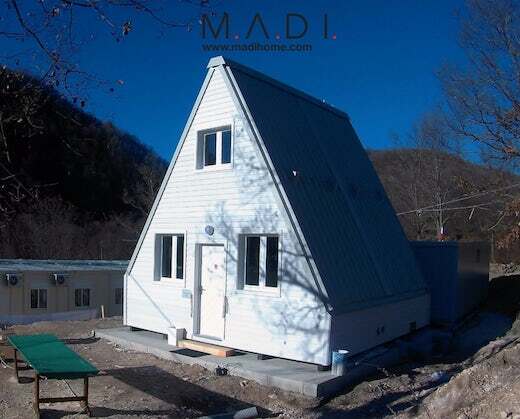 The structure is so sturdy that he could install a small rooftop deck, which is a very nice addition to the home. And this choice of framing also left more interior space to work with. 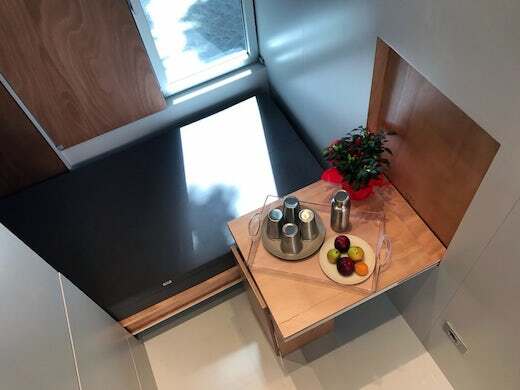 The interior is reminiscent of a large teardrop trailer, and features a bed, a desk, a sink, some storage, and a small toilet. 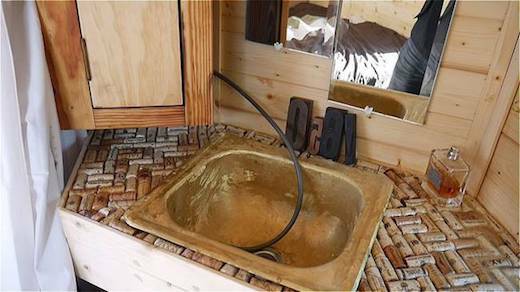 There is also an outdoor shower and an outdoor kitchen, which is stored away for transport using a hinged door at the back of the home. Ward likes to do most things outdoors, hence his choice to incorporate so much of the outdoors into his new home. 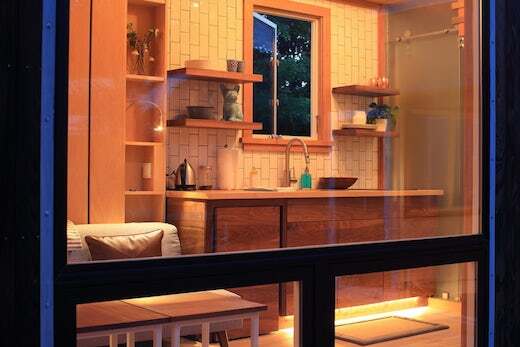 The deck and outdoor kitchen are perfect for that. 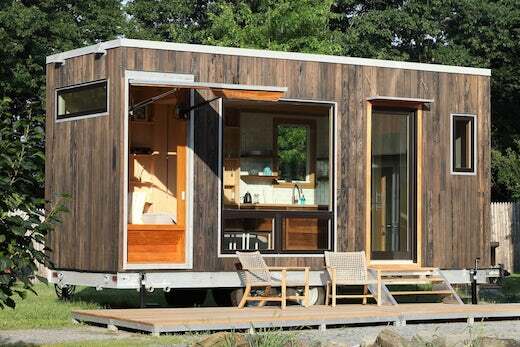 This new home is also a lot more mobile than his previous, larger tiny home was. 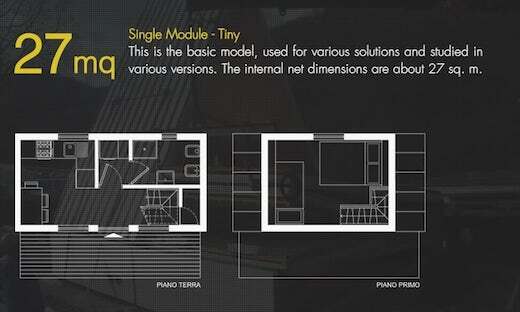 Much of Terraform 3 was constructed and furnished using repurposed and recycled materials. 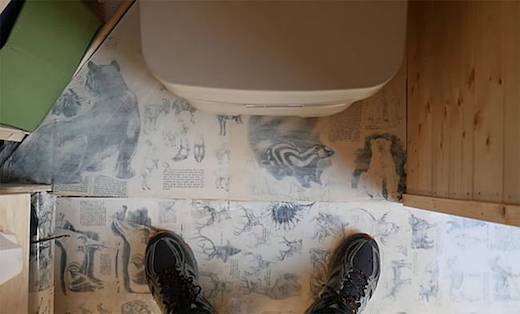 For example, it features a countertop made of wine corks, and the floor is covered with pages taken from a vintage 1940s book of drawings. Terraform 3 is very small and most people probably couldn’t imagine downsizing to such a drastic degree. 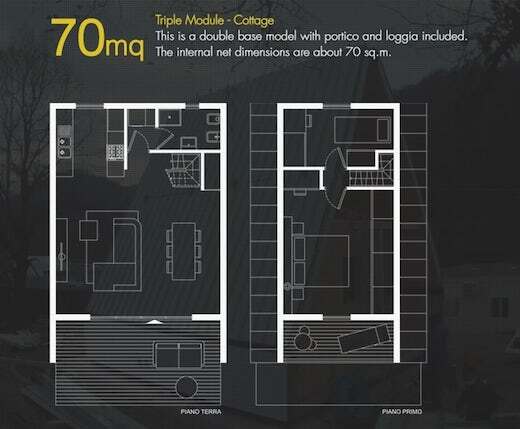 But then again, how much space do we really need to live comfortably? For professionals working from home a dedicated office space can be a real productivity booster. These spaces can also be used for a number of other purposes, such as meditation, yoga, exercise, and more. 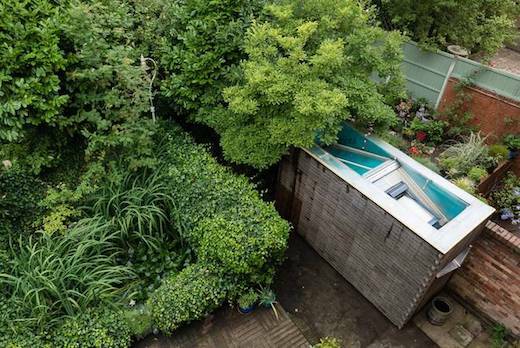 This interesting backyard office is certainly one such space. 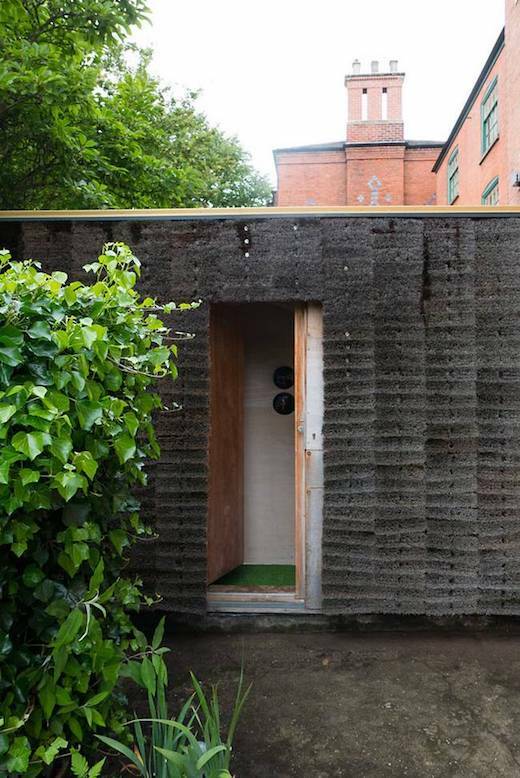 It is located in the backyard of a Nottingham, UK home, and is used as both a workspace and a relaxation space. 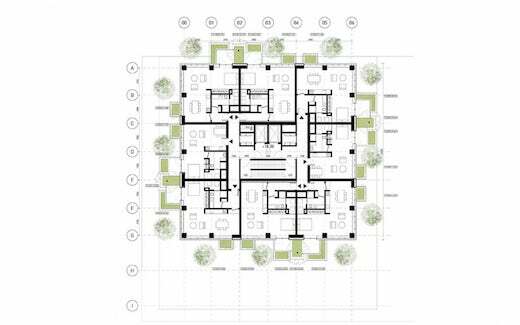 The office was designed by 2hD Architecture Workshop and it is an extension of an existing architecture office, which is located on the ground level of a family home. 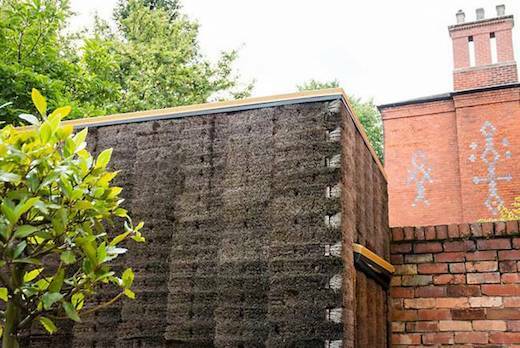 What’s really interesting is that this home is clad in 546 coconut-fiber broom brushes, which makes for a very unique and a very hairy structure. The architects jokingly call it Mission Control, and it became a necessary addition to the home office once children arrived. The office was built in a way that separates it almost entirely from the outside world to allow maximum immersion in the task at hand. 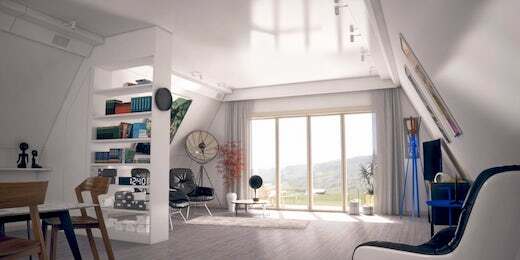 There are no windows save for the skylight which floods the interior with light. They also included a “commute” of sorts to this office, namely that one has to walk 13 feet before reaching it from the main office. 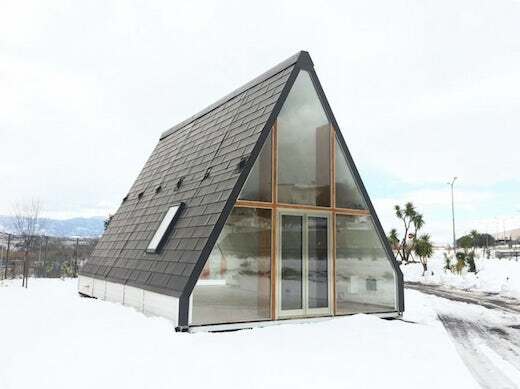 When looking at it from the outside, it also seems like there is no way in. All this was done to achieve maximum peace and quiet so the occupant could focus on just the task at hand. 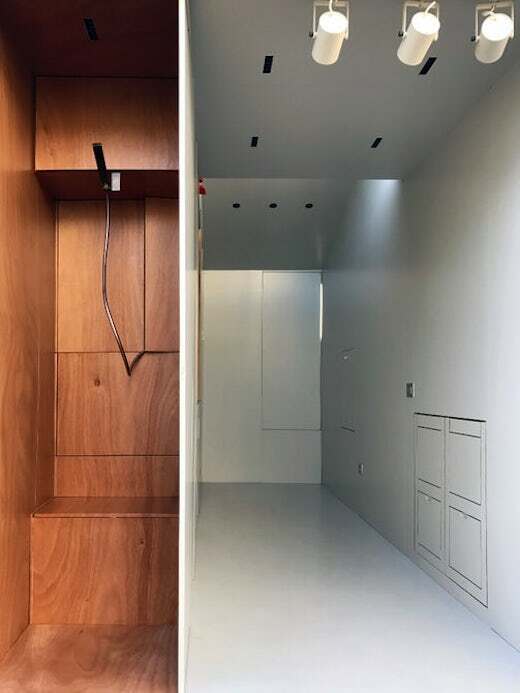 The shed is entered via a concealed sliding door which is opened by a ‘secret panel’ broom head, which adds to the feeling that one is separated off from the rest of the world when inside it. the office is insulated with sheep wool, which keeps the interior temperature nice and cozy. 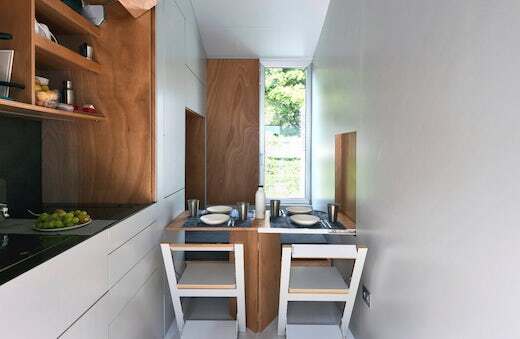 The interior measures 75 sq ft (7 sq m), and is big enough for two desks. 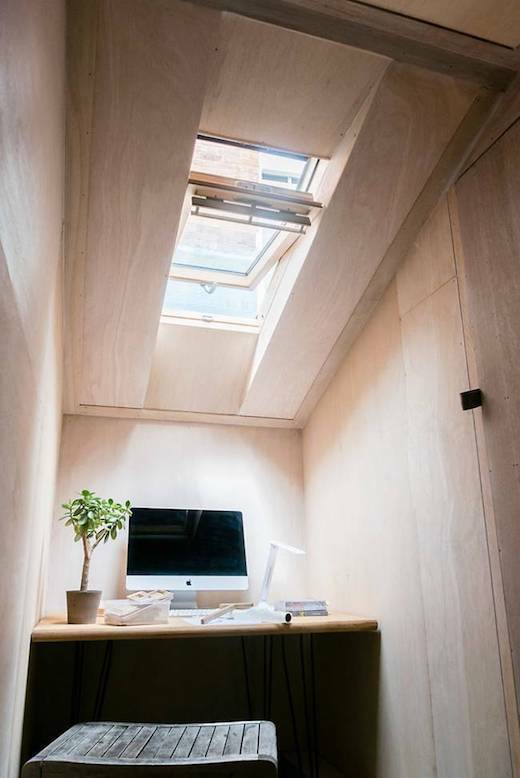 The interior is clad in plywood, which gives it a warm atmosphere. 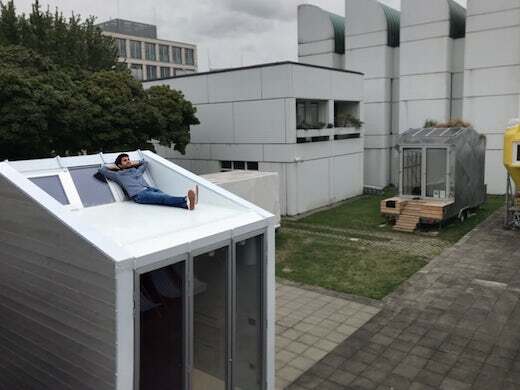 All in all, this is the perfect backyard office for anyone who needs total isolation in order to be more productive and focused.